ONLINE SCHEDULE AVAILABLE HERE: http://mathpsy.ch/. The conference will run from February 14–16 2019. There will be a half day of talks on the 16th Feb. Please follow the links below to find information about registration, conference dinner, abstract submission and accommodation. Following the format of last year’s conference we will have both Full Talks and Brief Talks. Full Talks – will be 15 minutes, plus 5 minutes for questions. Brief Talks – will be 7 minutes, plus 3 minutes for questions. The goal of including the Brief Talk format is to encourage participation from graduate students, early career researchers, and people interested in presenting more preliminary findings. Graduate students are especially encouraged to apply for a Brief Talk, and will be given priority for them. Please submit your abstracts at the following link: http://mathpsy.ch/. You will need to create an account and then login using the emailed password, then submit your abstract. Please indicate whether you are applying for a Full Talk or a Brief Talk. Abstracts should be no more than half a page in length and can be submitted Tex format. Please include a full list of co-authors. Please include institutional affiliation details for all authors. You may only present a single talk, but you are able to be a non-presenting co-author on any number of talks. The deadline for abstract submission is 31-Jan-2019. 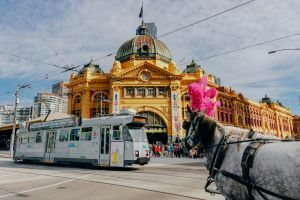 Hotels nearby include the Rydges on Swanston (https://tinyurl.com/ycumrfad) and the Ibis on Thierry St (https://www.ibismelbourne.com.au/). Discount student accommodation may be available at the locations below. These places have limited spaces so please email for bookings. We are committed to making AMPC19 an inclusive, respectful and harassment-free experience. Harassment and hostile behaviour are unwelcome at any of the scientific and social events associated with the conference. Harassment includes degrading verbal comments, deliberate intimidation, stalking, harassing photography or recording, inappropriate physical contact, and unwelcome sexual attention. If you have any concerns please contact one of the organisers. We thank the following organisations for supporting the conference, and look forward to seeing you in Melbourne! The conference organising committee is Daniel Little, Adam Osth, and Simon Lilburn. 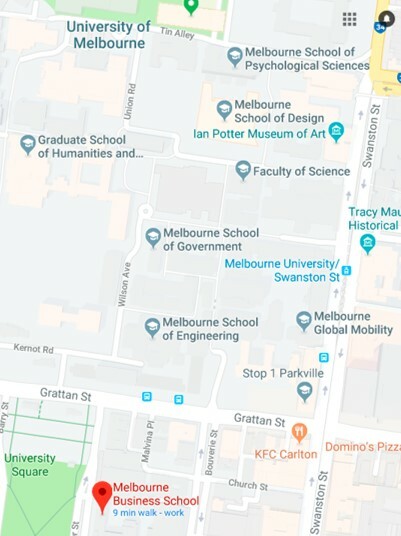 If you have any questions or would like to be added to the conference mailing list, please contact Daniel Little (daniel.little@unimelb.edu.au), Adam Osth (adam.osth@unimelb.edu.au), or Simon Lilburn (slilburn@student.unimelb.edu.au).